Decades ago, when shopping malls and new strip mall concepts grew in suburban America, many of the country’s historic downtowns began to suffer as commerce migrated outward. That is when downtown stake holders organized to compete against the new consumer behavior. One result in Cache Valley was the creation of the Logan Downtown Alliance. Alliance Manager Gary Saxton says Friday, Nov. 30 marks the organization’s 15th anniversary. 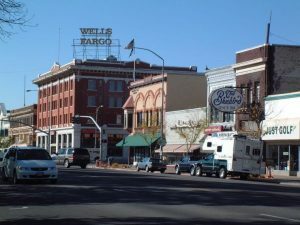 “Property owners are seeing their commercial investment in downtown makes sense,” Saxton claims. “If it didn’t make sense, you would see store after store, building after building, closed up with plywood on the front. 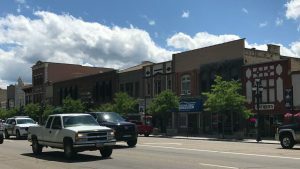 Saxton says the Alliance was formed as a private non-profit 501(c) on Nov. 30, 2003 to become the driving force behind all economic development efforts in downtown Logan for generations to come. The Alliance’s definition of “downtown” includes 500 North to 300 South and 100 West to 100 East, also known as the Downtown Special Assessment Area. Saxton says there will be no formal event to celebrate Friday’s anniversary.